One thing warned about long before Hurricane Matthew formed: hurricanes (and even other, more mild storms) spread mosquitoes and the diseases they carry, like Zika. A mild storm will blow and spread mosquitoes, and create wet conditions for them to propagate. A full blown hurricane will kill mosquitoes, but not all, and the ones that are left behind will have more than wet conditions to breed in. They’ll have debris, clogged or broken gutters, and all manner of neglected items and pools of water to lay eggs in. They’ll have humans sorting through the debris and rebuilding, providing a source of blood. It’s not just a theory. 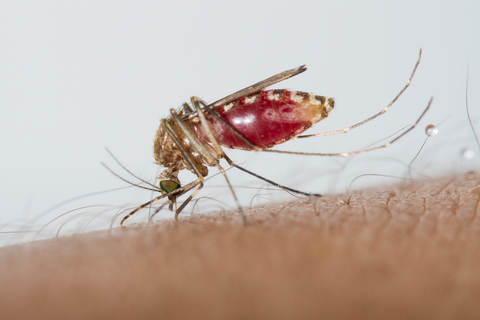 Storms are common in the tropical climates that the mosquitoes who carry dengue, West Nile, and zika are from, so the pattern is well established. We’ve seen it here, too: after past hurricanes West Nile infections have spread. For homeowners, priority should be given to clearing any standing water. Since the mosquito that spreads Zika (Aedes aegypti) is active at all times of day, there’s no reason to wait. There’s another step, too: Aedes aegypti hangs out inside, too. A safe for pets/humans bug deterrent on walls and under the bed is essential. If you need another layer, be sure to support your immune system with colloidal silver. Even if you weren’t in the hurricane zone, more mosquitoes in Florida means experts are anticipating the spread of (likely disease carrying) Aedes aegypti up the coast and potentially to other regions that can support Aedes aegypti. So, almost everyone needs to prepare with a little extra yard work and some immune supporting colloidal silver.